Does it make you uncomfortable when a storyteller is both the teller of the tale, a character in his own tale, and perhaps a very unreliable witness to the events he relates – especially if his actions are less than honest and his motives murky? 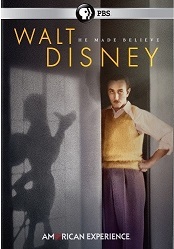 What if the narrator doesn’t understand the meaning of his own story, or needs to hide or recast his own role? Perhaps the narrator has mixed feelings about the other characters. Does the narrator wish to confuse the reader? Can you trust the narrator’s point of view? If you have these thoughts as you read, than you are in the grip of the UNRELIABLE NARRATOR! BEWARE! And ENJOY! You are in for a twisty experience, somewhat like a stroll through a hall of mirrors. My book group felt this when reading Ford Madox Ford’s classic The Good Solider: A Tale of Passion. The narrator, Dowell, has an unconsummated decade long marriage with a woman who simultaneously has an affair with his best friend and a very “good” soldier, Edward Asburnham. Dowell claims to be totally ignorant of the affair until he is explicitly told the “real” facts by Edward’s wife - sometime after the death of the good soldier. Dowell then tells the tale of the various liaisons and deceptions of his friends in such “a very rambling way so that it may be difficult for anyone to find their path through what may be a sort of maze. I cannot help it … And, when one discusses an affair--a long, sad affair--one goes back, one goes forward. One remembers points that one has forgotten and one explains them all the more minutely since one recognizes that one has forgotten to mention them in their proper places and that one may have given, by omitting them, a false impression. I console myself with thinking that this is a real story and that, after all, real stories are probably told best in the way a person telling a story would tell them. They will then seem most real.” So says John Dowell, the most unreliable of narrators in The Good Soldier. Do you trust someone who wishes to make a real story seem real? Does the maze of the tale protect the teller from some culpability of his own? What Was She Thinking? 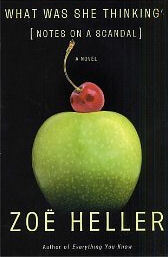 Notes on a Scandal by Zoe Heller: a tale told by the rather lonely spinster schoolteacher Barbara Covett who strikes up an unlikely friendship with the much younger and attractive art teacher Sheba. Barbara discovers that Sheba is having an affair with a one of the school’s students. Armed with this knowledge, Barbara begins to intervene, somewhat sinisterly, in Sheba’s life under the guise of being so very helpful. 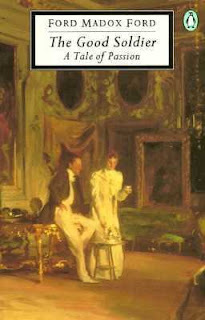 This novel is purported to be Barbara’s own personal rendition of the events and a true picture of the events. As you read, you come to question the reliability of Barbara’s story and feelings. A delicious, compelling tale of passion, obsession, and mixed motives. 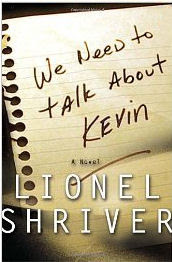 We Need to Talk About Kevin by Lionel Shriver and winner of the 2005 Orange Prize. This is a masterpiece of unreliability. In a series of letters to her husband, Kevin’s mother, Eva, seeks to understand the murderous actions of her sociopathic son. But was Kevin born this way? Or made so by the actions of his parents? Nature or nurture? Can you trust his mother to ferret out the truth or is her behavior as disturbing as her son’s and her tale self-justifying? 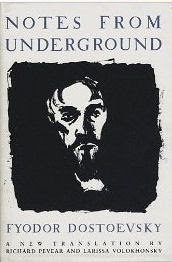 Notes from the Underground by Fyodor Dostoyevsky. The Underground man – the narrator of the story – is a disillusioned man, repulsed by Tsarist society. A bitter, retired civil servant, the unnamed narrator claims that no real social progress or improvement of the human condition is possible. But can the reader trust the nihilist perspective of a character who never even reveals his name, who both loathes himself and admires his own intelligence and sensitivity? A man who claims to be honest and then excuses himself for accepting bribes? Where does truth lie? How reliable is the narrator who claims: "It was not only that I could not become spiteful, I did not know how to become anything; neither spiteful nor kind, neither a rascal nor an honest man, neither a hero nor an insect. Now, I am living out my life in my corner, taunting myself with the spiteful and useless consolation that an intelligent man cannot become anything seriously, and it is only the fool who becomes anything." Let your book club beware!